Spread some butter on each half. Put a layer of roasted lechón pork and some mojo if you want. 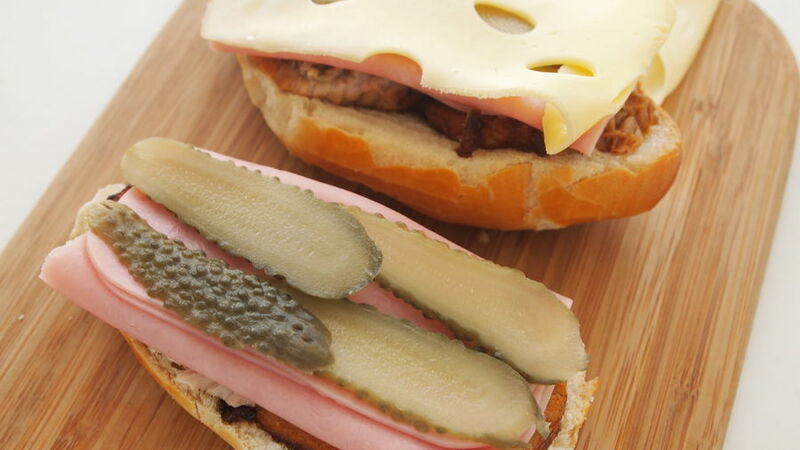 Then, add some English ham and pickles. Cover it with Swiss cheese, spread mustard and cover with the other half. 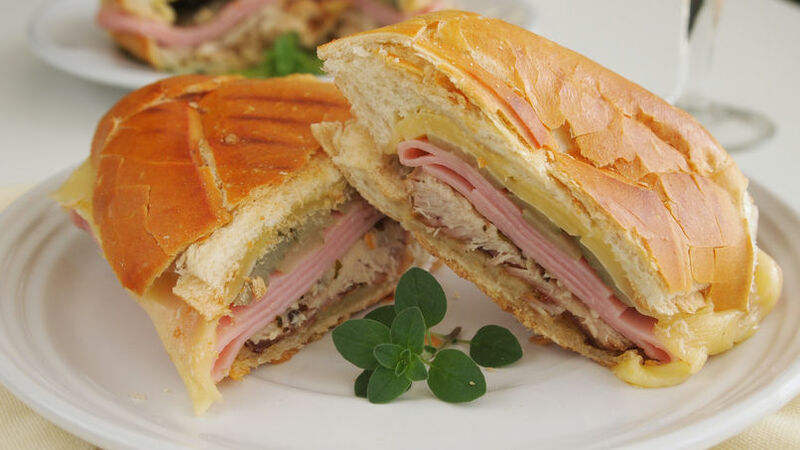 Warm up the sandwiches on a panini grill if you have it so that the crust is golden and crunchy. Your press shouldn’t have grooves like the ones in panini presses. 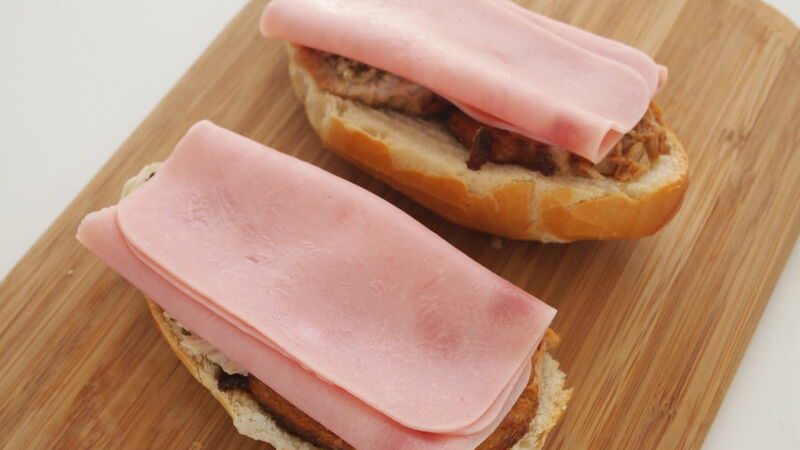 Once the grill is hot, cut each sandwich diagonally in half and serve immediately. Some people like adding a layer of salami as well.